Galvanized Steel Containers bring back our old memories. 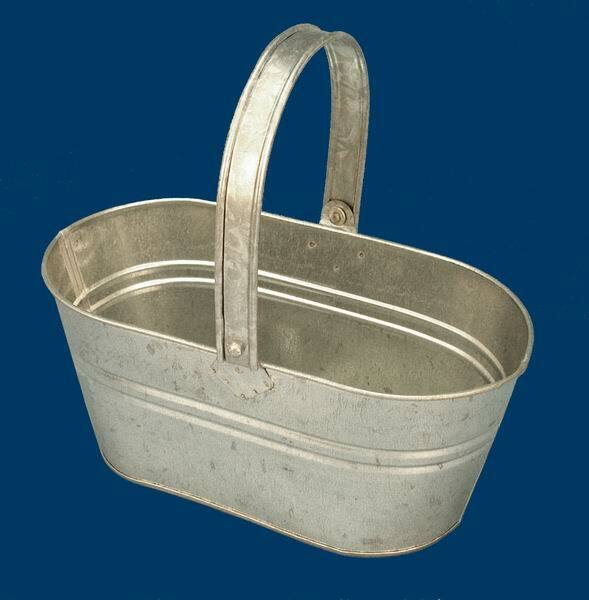 This Oblong handle basket is made of galvanized steel. It measures 9.5" long, 5" wide, 9" high to the top of the handle, 4" high to the basket.